Welcome to Day #2 of Chocolate and Raspberry Theme Week. 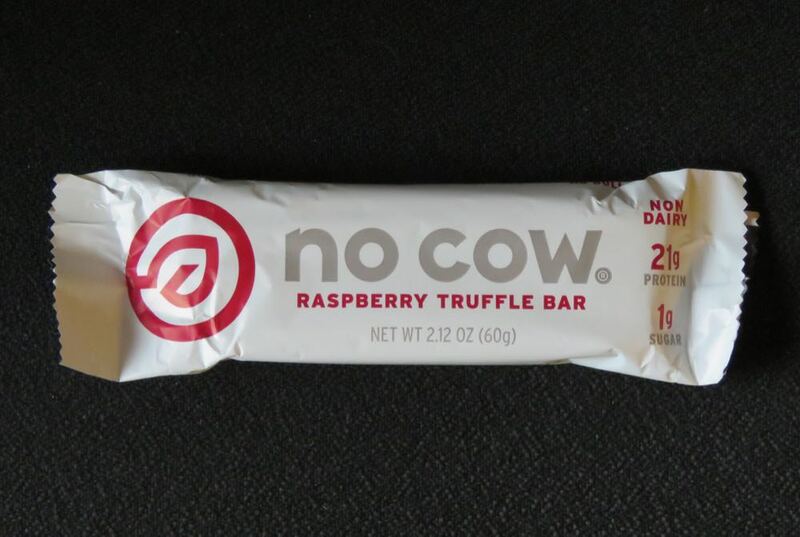 This Raspberry Truffle Bar was from No Cow LLC (Denver, CO), a company that specializes in non-dairy, high protein and low sugar bars that are also vegan, gluten-free and soy free. Today's bar had chocolate and raspberry flavors and a slightly granular texture that accompanies some protein bars. 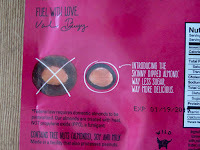 The bar contained no added sugar, and was sweetened with erythritol, monk fruit and stevia. Welcome to Day #1 of Chocolate and Raspberry Theme Week. 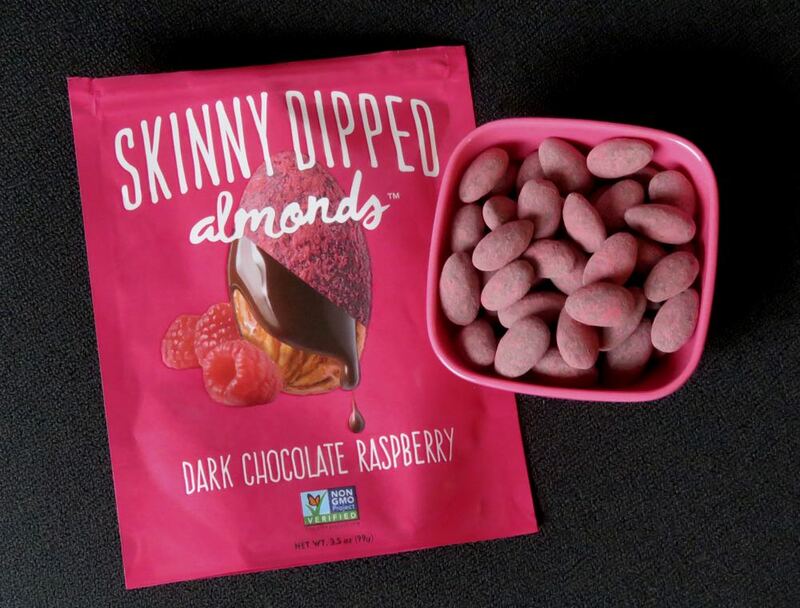 Today's Dark Chocolate Raspberry Skinny Dipped Almonds were distributed by Wild Things Snacks, Inc. (Seattle, WA). 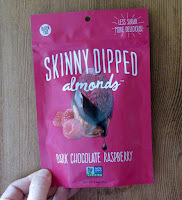 Whole roasted almonds were surrounded by dark chocolate and dusted with a light tart-sweet, raspberry coating. 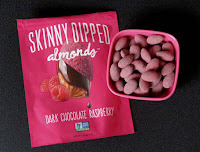 Packaged in a resealable pouch, these almonds were "skinny" in that they lacked the thick confectionary coating that nuts are often are smothered in. They had "way less sugar," and, it was true, they were "...more delicious." 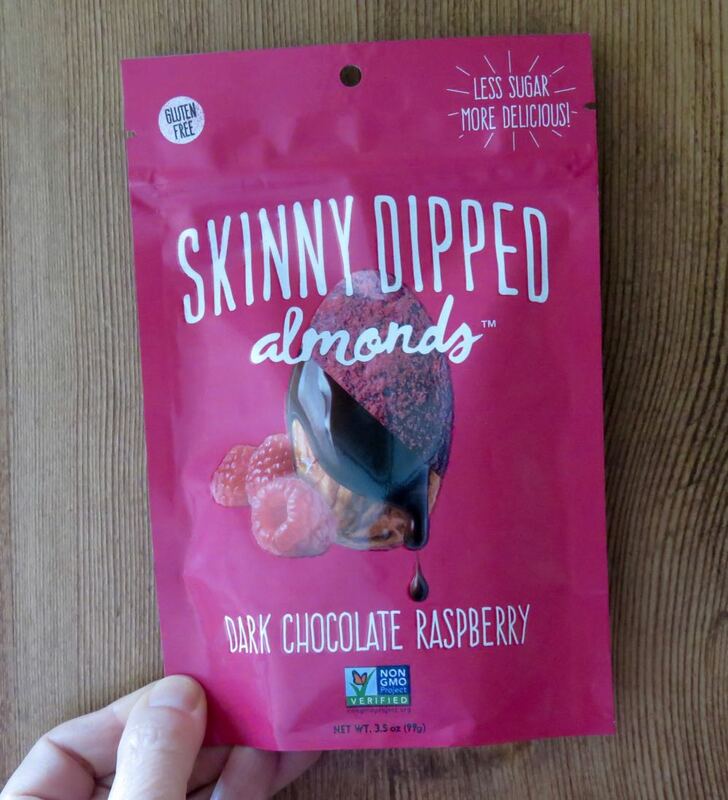 The mother and daughter behind these almonds wanted to develop a healthier version of the traditional chocolate covered nuts. They chose almonds as a base. And other choices included lower sugar levels while avoiding artificial ingredients and sweeteners (thank you). 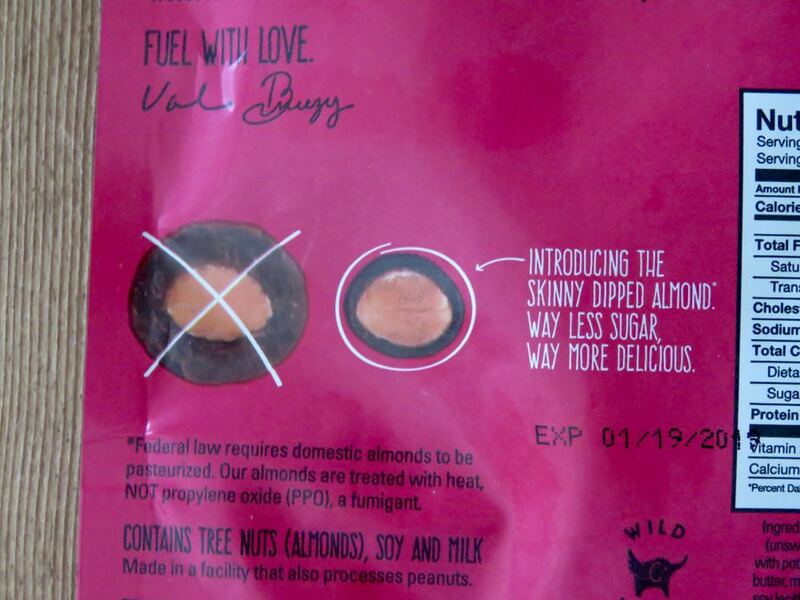 The pasteurized almonds were treated with heat, not with PPO (a fumigant). And organic maple sugar was used to supplement the sugar that was part of the chocolate.